The Jamaican Maroons were runaway slaves who fought the British during the 18th century. When the British invaded Jamaica in 1655 the Spanish colonists fled leaving a large number of Africans who they had enslaved. Rather than be re-enslaved by the British, they escaped into the hilly, mountainous regions of the island, joining those who had previously escaped from the Spanish to live with the Taínos. They were very organized and knew the country well. Because of this, additional runaway slaves joined them. The two main Maroon groups were the Leeward and the Windward tribes, the former led by Cudjoe in Trelawny Town and the latter led by his sister Queen Nanny (and later by Quao). Over time, the Maroons came to control large areas of the Jamaican interior and they often moved down from the hills to raid the plantations. This resulted in the First Maroon War. 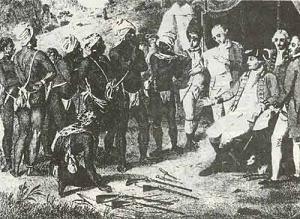 In 1739-40 the British government in Jamaica came to an agreement with the Maroons. 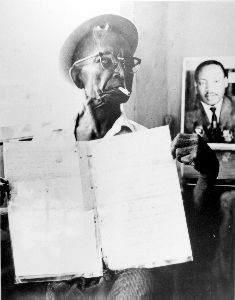 They were to remain in their five main towns Accompong, Trelawny Town, Moore Town, Scots Hall and Nanny Town, living under their own chief with a British supervisor. In exchange, they agreed not to harbour new runaway slaves, but rather to help catch them. They were paid a bounty for each returned slave. This last clause in the treaty naturally caused tension between the Maroons and the enslaved black population, although from time to time runaways from the plantations still found their way into Maroon settlements. However, tensions between planters and Maroons remained and a Second Maroon War broke out in 1795. 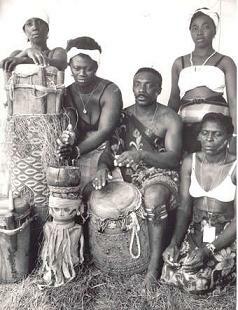 The Accompong Maroons remained neutral and the British left them alone. 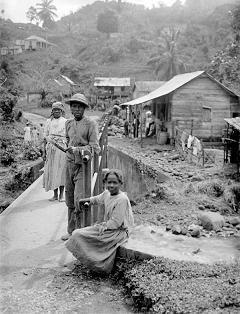 By the end of the war, all the other Maroon settlements in Jamaica had been destroyed, and Accompong alone remained. The Trelawny Town Maroons were resettled in Nova Scotia for a few brutal winters, and the survivors were sent back to Africa to live in Sierra Leone. 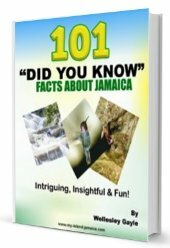 Jamaican Maroons intermarried with Amerindian natives, establishing independence in the back country as the island changed hands from the Spanish to the British in the 17th century. 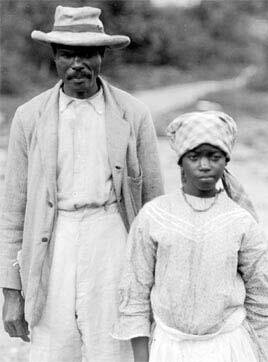 The survived by subsistence farming and by raiding plantations. Originally, Jamaican Maroons fought against slavery and maintained their independence from the British. However, in the treaty of 1738, they were also paid to return captured slaves and fight for the British in the case of an attack from the French or Spanish. Many of them were deported in 1796 to Nova Scotia and eventually to Sierra Leone. Famous among Maroon rebels was Queen Nanny, also known as Granny Nanny, leader of the Jamaican Maroons in the 18th century. She is the only female listed among Jamaican national heroes, and has been immortalized in songs and legends. She was known for her exceptional leadership skills, especially in guerrilla warfare, which were particularly important in the First Maroon War in the early 1700s. Her remains are reputedly buried at "Nanny Bump" in Moore Town, the main town of the Windward Maroons who are concentrated in and around the Rio Grande valley in the eastern parish of Portland. A British governor signed a treaty promising the Maroons 2500 acres (10 km²) in two locations, because they presented a threat to the British. Also, some Maroons kept their freedom by agreeing to capture runaway slaves. They were paid two dollars for each slave returned. In 1796 approximately 600 Jamaican Maroons were deported from Jamaica to Nova Scotia because of their rebellion against the colonial government. 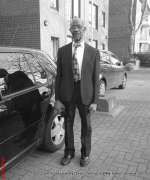 The second immigration of free blacks into the province of Nova Scotia was similar to the first in that it developed from events entirely divorced from Nova Scotia history. From the time of British conquest in 1655, the Maroons in Jamaica waged war against the British colonizers of the island. The Jamaican government succeeded in overcoming the Maroons in 1796 after 140 years of intermittent warfare. The Legislature, vengeful and certainly tired of the cost of maintaining order, decided to rid themselves of "the problem". Immediate actions were put in place for the removal of one group of Maroons (Trelawney), with their settlements in lower Canada (Quebec). Upper Canada (Ontario) had also been suggested as a suitable place; however, it was eventually decided that this group of individuals be sent to Halifax, Nova Scotia, until any further instructions were received from England. 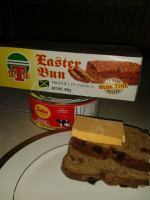 Two gentlemen, Messrs Quarrell and Octerloney, were sent from Jamaica with the Maroons as Commissioners. On 26 June 1796, the Dover, Mary, and Anne sailed from Port Royal Harbour, Jamaica to Halifax. One arrived in Halifax on 21 July, the other two followed two days later totaling 543 men, women and children. The then Duke of Kent and Commander-in-Chief of the British Army in North America, impressed with the proud bearing and other characteristics of the Maroons, employed the entire group to work on the new fortifications at the Citadel Hill in Halifax. The Lieutenant-Governor Sir John Wentworth believed that the Maroons would be good settlers. He then received orders from the Duke of Portland to settle them in Nova Scotia. Following this the two commissioners responsible with credit of 25,000 Jamaican pounds from the government of Jamaica, expended £3,000 on 5,000 acres (20 km²) of land and built the community of Preston. Governor Wentworth also was granted an allowance of £240 annually from England to provide religious instruction and schooling for the community. After the first winter, the Maroons, raised in an independent and dominating culture and not impressed with the apparently servile virtues of cultivating the soil, became less tolerant of the condition in which they were living. 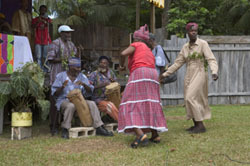 To this day, the Maroons in Jamaica to some extent remains autonomous and separate from the rest of the Jamaican culture. The isolation used to their advantage by the ancestors has today led to their communities being amongst the most inaccessible on the island. In their largest town, Accompong, in the parish of St. Elizabeth, the Leeward Maroons still possess a vibrant community of about 600. Tours of the village are offered to foreigners. A large festival is held January 6 each year to commemorate the signing of the peace treaty with the British after the Maroon War.